Cash Flow Analysis – Includes debt reduction, budget planning, or establishing savings. Goal Setting - Unless written down in a clear, concise fashion, goals tend to remain just ideas. We write down and help you track your financial goals with you. Personal Net-Worth Analysis - Benchmarking your balance sheet (assets minus liabilities). Many people are surprised by their net worth, as they’ve never seen it in black and white. Education Planning - It’s no small task these days to pay for a college education. We calculate the monthly savings or lump-sum investment needed to help meet your goal, as well as help you select the education plan to save for a future education goal. Retirement Projections - We’ll help you answer the questions; “How am I doing?”, and even more important, “What more can I do?” We provide an evaluation of your current savings, goals, and alternative strategies to help ensure greater financial security throughout retirement. Estate Planning - Through our lives, we spend so much time worrying about making a decent living. But the years pass, and many clients wish to leave a legacy that represents their values, we help create a thoughtful, flexible estate plan to direct your wealth the way you want. Leave what you want, to whom you want, when you want, by planning today, maximizing the transfer of your wealth and control while minimizing taxes. Insurance Needs Analysis - There is nothing worse than working hard all your life to accumulate assets for retirement or to pass onto heirs only to have it disappear due to a long term illness, health catastrophe or death. What can be done to help protect your ability to earn a living and accumulate assets? The least expensive and most intelligent method is through insurance; life, disability or long term care. We will analyze your goals to determine the proper amount and type of coverage that is best for your needs. Then we will assist you in obtaining the coverage necessary to complete your estate plan and reduce the risk that you and your family are left with unmet dreams and goals. Personal Profile - Includes your individual investment needs and objectives, time horizon, preferences, risk tolerance and attitude toward investing. Ongoing Assessment - Your investment portfolio is carefully monitored on a continual basis to ensure it remains consistent with often changing needs and goals. Periodic Rebalancing - We “manage the managers” to make sure they stay within your objectives, rebalancing your portfolio as needed. 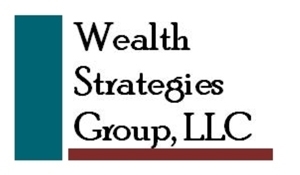 “one-stop-shopping experience” for all of your financial, insurance, investment, and estate planning needs. For those clients who do not have an attorney, CPA, or insurance agent, we will be happy to refer professionals in our area with whom we’ve worked.